Looking for an affordable way to dress up your casual space but still want to exercise your individual taste and style? 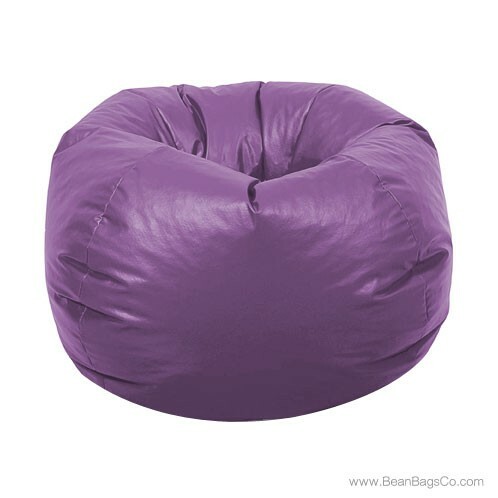 Here it is: the classic vinyl bean bag in vibrant purple. This exciting bean bag chair has many features that make it a great casual furniture investment, such as the easily-cleaned vinyl outer shell, the double-locking zipper for extra security and the UltimaX bead filler that cradles the body in ergonomic comfort. If you are looking for a great furniture value, this bean bag chair can deliver. However, we all know that no matter how great a value a piece of furniture is, it does not matter if it is ugly or uncomfortable. 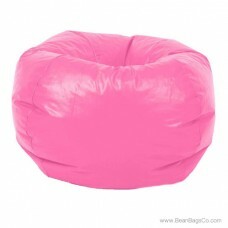 Fortunately, the classic bean bag chair is both beautiful and enjoyable to use. The outer shell is soothing and cool to the touch while the bead filler supports the body gently. Best of all, the fantastic purple is a great way to dress up any casual space with a splash of color. 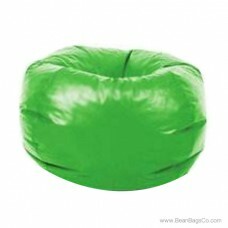 The whole family will love this classic bean bag chair.